Any Seekers in North Carolina? "I just confirmed a fan table for Con Carolinas in Charlotte, NC June 3rd-5th/2011. Anyone around the Charlotte area that wants to come out and help or show your support, please let me know." "Come visit us at ConCarolinas! 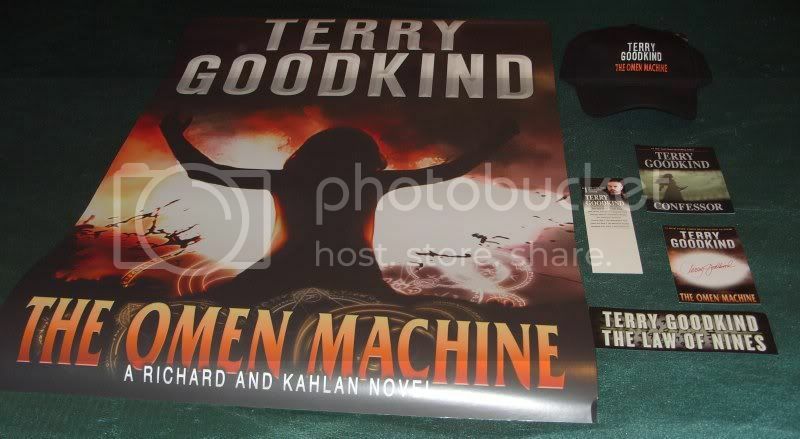 We will have a 'Legend of the Seeker/Sword of Truth' Fan table set up with fun games and prizes. 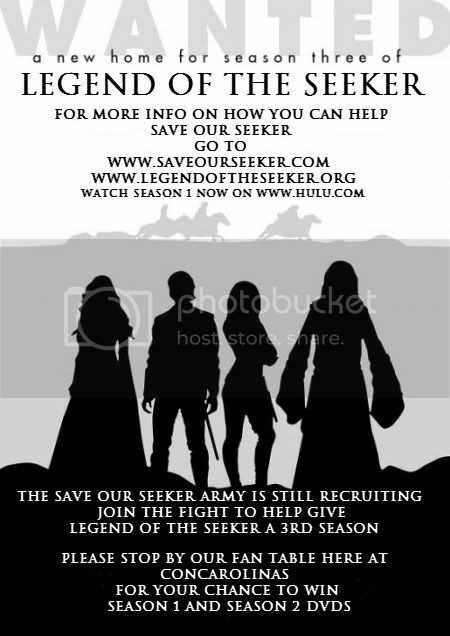 You will also find lots of helpful information on how you can help 'Save our Seeker'. See our ad on the back of the ConCarolinas program." 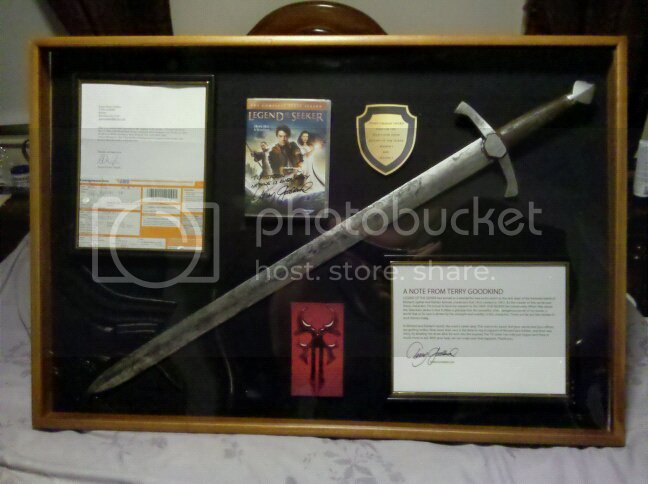 "I will also have my D'haran Stunt Sword used in Season 1 & 2 of 'Legend of the Seeker' on display." "If you live in or near the Carolinas please stop by and say hi. See you at the Con!" ConCarolinas is a general multi-genre multi-media convention. 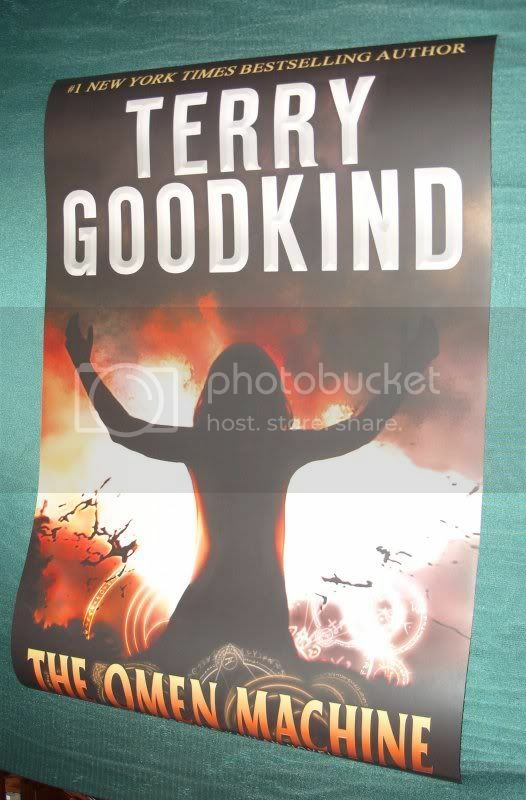 We called ourselves a sci-fi convention but in truth we cover all speculative fiction - science fiction, fantasy and horror. It hosts a variety of fandom related events and guests, including gaming, discussion panels, costume events, music events like Klingon Karaoke, charity auction, SCA events, fan groups like the 501st Stormtroopers, Starfleet, and Klingon Assault Group, and something different every year. In 2003 we held our first full-blown 3-day Science Fiction con - a longer Con than the 2-day 2002 "Prequel" the previous year. It was larger than the mini-con, using more space, having more panels, writing seminars, a bigger dealer room and more guests, including Guest of Honor David Weber. Since then, ConCarolinas has grown to be one of the more respected and talked about cons in the region. ConCarolinas is a fan-based group orginally sponsored by South Eastern Convention Fandom, Inc (SECFi), and as of 2008, incorporated into our own ConCarolinas, Inc., a nonprofit organization. We are a regional committee, pulling the majority of its members of our ConCom from North and South Carolina. The ConCom has years of convention and fandom experience, with its members having been involved in running Stellarcon, MACE, IC99, ROC-of-AGES, Bab-Trek, FanFaire, Chattacon, Philcon, the UNCC Science Fiction & Fanstay Guild and others. The goal of our group is to develop a strong regional, general Science Fiction con in Charlotte, capable of hosting larger events such as DeepSouthCon and NASFiC. "The local Fox News station is going to have a segment on con carolinas. They have a part of the show called 'Wilsons World' that shows different goings on in or around Charlotte. Ron, the man in charge of the con, posted on facebook yesterday looking for people in costume to be on the segment with him. Anybody that wants to go and be on tv, let me know. I will be there at 5am when it starts and then check back with Wilson all morning. This is going to be so cool! " 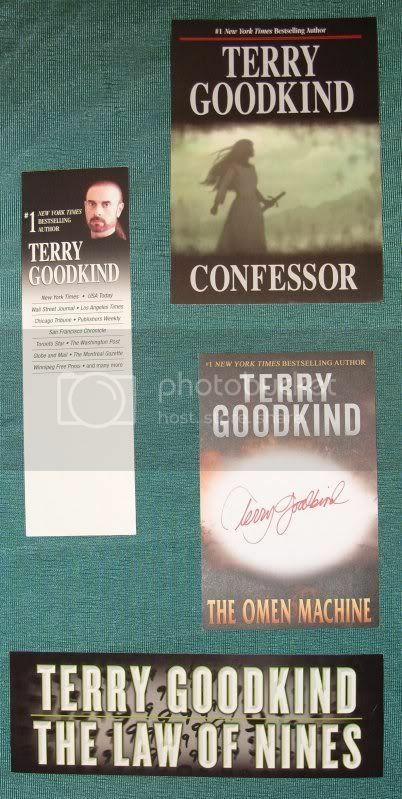 "I got a care package from Terry Goodkind today with some, Confessor post cards, laws of nine bookmarks, omen machine autographed cards and some hats to give away at the con. 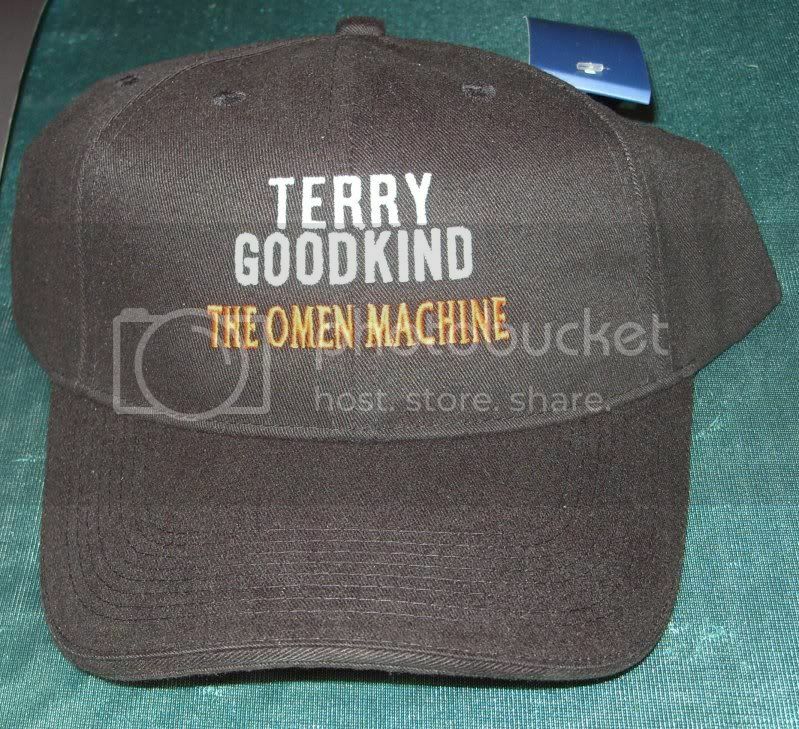 Thanks to Laura and Terry Goodkind."